ZANU PF has been trying to fool us by their desperate measures to fight corruption to revive its image but we have reserved our comments until after the heroes’ holidays, out of respect for our fallen heroes. It is disrespectful to commemorate our heroes when the vast majority of people are not enjoying the fruits of their struggles. 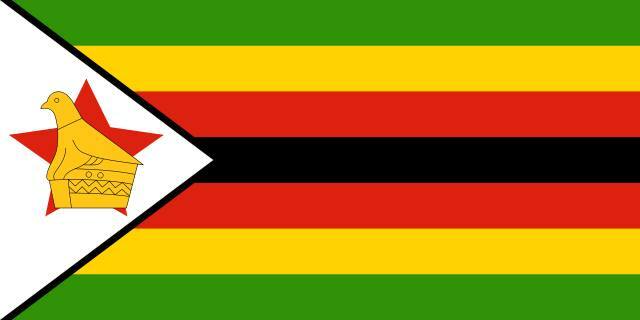 I write to you all fellow Zimbabweans on behalf of ZUNDE that we should not beg for our freedom as our heroes did not beg for theirs. Our heroes were brave. They realised that the only way they could free Zimbabwe was through the means that Ian Smith was using to suppress them; the barrel of the gun. We pick from their cry “comrade bereka sabu tiende, chauya chauya”, or simply “comrade take up the fight whatever happens”. Well, this time it is not any different; in fact, it is argued to be worse than the racist Smith-led government. However, this current regime is even worse as we are being violated by the same people we fought side by side with during the liberation struggle. My message to us the surviving heroes is that let us, for once, reflect on our liberation journey and recall what we fought for. How on earth have we tolerated evil, oppression and death? We did so because we took the mentality that ‘it’s someone’s problem as long as my family is ok’. As Zimbabwe we are one family such that no one should find happiness in someone’s troubles but, clearly, Zanu PF leaders and our former commanders are living in lavish homes while we even fail to feed our own children. The Heroes’ day ceremonies emphasised a basic and enduring fact to freedom loving Zimbabweans that if we want freedom we have to fight for it! Just as our heroes ignored oppressive laws of the time to be free it is the case in all generations. Nelson Mandela argued that oppressive laws that suppress any legitimate political activity in themselves legitimise the ignoring of the same laws in order to be free. I praise our heroes for facing up to the oppression of their time and urge Zimbabweans to face up to the oppression of this time. Surely how can a leader make an entire speech about a lion that the majority of Zimbabweans never knew existed, and then as if that was not enough, try to blame his failures on the bones of our ancestors that are being held in UK. Clearly, this shows that Mugabe is no longer concerned about his people’s well-being as we are enduring a difficult phase in our economic history. Thousands of people have lost their jobs and it seems like nothing will be done about it as they are concerned about catching Cecil’s hunter. Robert Mugabe has ignored calls to seriously hunt for Itai Dzamara’s abductors but was so passionate catching Cecil the lion’s killer. It’s sad that we have nothing to show for the blood of our heroes as we have lost everything we have fought for. Our once budding middle class has lost everything and they have been dropped down to the bottom of the ladder. They had embarked on projects that have just stalled or collapsed as they even fail to finish buildings they had started. Our councils are failing to maintain donor funded roads. Our youth and students no longer see the importance of education since they know they will just contribute to the unemployment rate. Only Zanu PF top officials are living the dream that our ancestors had for us, their houses are complete, companies still standing and all their relatives have good jobs. It is not easy to narrate this but this has become too much to handle. Unless we face up to our situation this will be our lot until all of us go to our graves. I was not born to be abused by Zanu PF, nor was any of us! A government that is determined to rule even without the consent of its citizens is vicious. All arms of government and society will soon be revisited by Zanu PF to weed them of any opposition to the ruling party. Every policeman or woman, soldier, judge, magistrate, civil servant, activist and citizen will be challenged to decide to go along with Zanu PF or lose everything they have worked for including life. But what I can promise Zimbabweans is that Zanu PF biggest problem is that we will not allow them to harvest these evil plans to destroy our country and divide our national resources amongst themselves and their foreign backers. ZUNDE will stop this evil from maturing. We have no choice but to resist these evil people. Even businesses that had taken the stance to go along with Zanu PF are now collapsing. At ZUNDE we believe business does not have to sing political slogans to survive. We are for wealth creation and the best way to do this is to create a viable business environment. From the churches, we do not ask for more than that we should continue to pray for genuine change this time. My message is that it is not God’s intention that Zanu PF oppresses the people he created in his image. God’s desire is that we have peace, joy and happiness and not murder, hatred and oppression. The one thing that Zanu PF has destroyed is the institution of government. They do not understand that a political party is only elected to manage government and not to replace government with itself. We have to create the government institution as agreed by all stakeholders and not just the ruling party. This is something I will commit myself to do.